Nothing new to subscribers of the LEYTR magazine since we've mentioned this in the past two editions, but now Grimsby and Lincoln and being mentioned more and more online. The reason? The enthusiasm to operate direct train services linking both destinations with London. Today's Transport Briefing mentioned this - their article has been reproduced below though edited slightly. 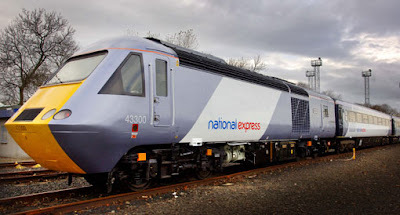 Train operator National Express East Coast has revealed proposals for new services and faster journeys linking London with the East Midlands, Lincolnshire, Yorkshire, north east England and Scotland. Plans detailed this week include 25 new direct services to and from London, creating at least 7,000 extra seats a day on the East Coast route from December 2009. Among these are new routes, such as a two hourly service to and from Lincoln, additionally serving Market Rasen, Grimsby and Cleethorpes once a day; a two hourly service between London and Garforth, Leeds, Horsforth, Pannal and Harrogate; an extra service every hour direct from London to Bradford Forster Square by extending some Leeds services; and possible extra services to Skipton and the Aire Valley, subject to electricity supply issues being resolved by Network Rail. Some of the plans, such at the Lincoln service, were included in the franchise agreement with the government signed in August 2007. However, other proposals to serve new destinations in the north east appear designed to spoil plans by open access train operator Grand Central, which recently announced its intention to bid for paths to Grimsby, Scarborough and Huddersfield. Existing destinations would also benefit from the plans with average journey times from London falling as a result of a new even interval timetable with a more balanced spread of fast and frequent services. Examples include York in 1 hour 51 minutes, Leeds in 2 hours 10 minutes, Newcastle in 2 hours 50 minutes and Edinburgh in 4 hours 20 minutes. National Express says the plans would be the biggest improvement to the East Coast timetable since the route was electrified in 1991 and would make the most efficient use of available track capacity on the busy East Coast route. To run its proposed additional services, the company would lease Class 180 Adelante diesel trains, capable of 125mph running, in addition to its existing fleets of refurbished diesel and electric trains. Interesting stuff. Of course it would be great if all three main ECML operators were able to run direct service to/from Lincolnshire; perhaps with all the planned frequencies this would flood the county with too many trains and within a year they would all leave or drastically reduce their service levels. Only one operator will be granted permission to run into the LEYTR area and since NXEC had signalled its intention to operate a 2-hourly service to Lincoln in its franchise bid to relieve GNER, it will no doubt be feeling rather hopeful. Should the firm start counting its chickens though when it featured "20 out of 20" in the most recent TOC performance league table? Grand Central's inability to offer stability to its flagship service between Sunderland-London will surely hamper any ruling by the DfT to award it further services anywhere in the country, let alone its planned Bradford-London services, operated by its parent company Grand Union. 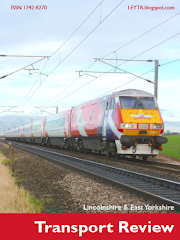 Hull Trains has plans to operate new services along the ECML as well as wanting to increase its Hull-London timetable frequency by two more services each day. As the first fully-fledged open access operator since privatisation the firm has received much praise for its level of sustainable service and innovation in ensuring continuity in its timetable dspite facing a vehicle shortage for the past year. A sceptic could argue that the length of time the DfT took to publish its final version of the Route Utilisation Strategy for the ECML could suggest that it has no plans to make any rush decisions over additional paths despite one operator's pledge in its franchise bid; another wanting to perhaps run before it can walk and the third suffering from a short-term lack of traction power. One thing's for sure, the ECML simply cannot manage to accommodate anywhere near all that is being proposed by all operators, plus a modest increase in freight traffic. The decision, ultimately made by the DfT, will not suit all operators and nor should it: the public should be at the forefront of the government's mind when making its decision.